. . .I imagine the tree must have been dead when it was cut; but it serves to show the durability of the wood for it was perfectly sound at this time. I shot two gannets: these birds were of the same size as those in England; their colour is a beautiful white, with the wings and tail tipped with jet black and the top and back of the head of a very fine yellow. Their feet were black with four claws, on each of which was a yellow line the whole length of the foot. The bill was four inches long, without nostrils, and very taper and sharp-pointed. Nice to hear more about the interesting business of HMS Bounty. I read the Mutiny on the Bounty type stories about 50 years ago. More recently, I read this and Mr. Bligh's bad language. Fletcher Christian is hardly mentioned here. A story of survival and one that will give you a wholly different outlook on the traditional story. Not sure if this is the right version of this, but I read through Bligh's actual entries. Fascinating, really. The language and the story it tells. Just neat-o. Probably the most important source of one those great examples of human endurance and courage that was the Mutiny on the Bounty. Great read - or listen, rather. Try libirvox. Bligh really transports you to that era. After finishing this one, all I can say is, "shame on you Hollywood, for putting so much Hollywood into the 1935 flick." It was ok. It was a little more dry than I thought it would be. 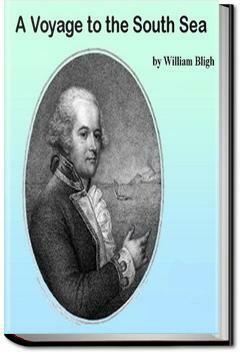 The recollections of the real life Lt. William Bligh of Mutiny on the bounty fame. He wrote this after his famous retelling of the mutiny, and his travels across the Pacific in what was little more than a lifeboat.